Northern Ireland Electricity (NIE) own and maintain the wires and meters for all energy suppliers in Northern Ireland. It is also responsible for the planning, building, repairing and developing of Northern Ireland’s electricity network and has around 1,300 employees. Its network starts at substations beside power stations or wind farms and finishes at around 820,000 meter boxes across Northern Ireland. NIE’s transmission and distribution network consists of 45,000 km of overhead lines and underground cables, 75,000 pole mounted transformers and 250 major substations. Northern Ireland Electricity has a significant 11kV overhead line network supplying its rural communities. To improve network performance since privatisation, NIE undertook a programme of refurbishing the overhead distribution network. As it was considered necessary to implement further measures, NIE decided to install telecontrollable auto-reclosers across the network. Apart from purchasing new telecontrollable auto-reclosers, NIE was also looking to retrofit this functionality to a plant already installed, and to ensure compatibility with its current Distribution Management System. 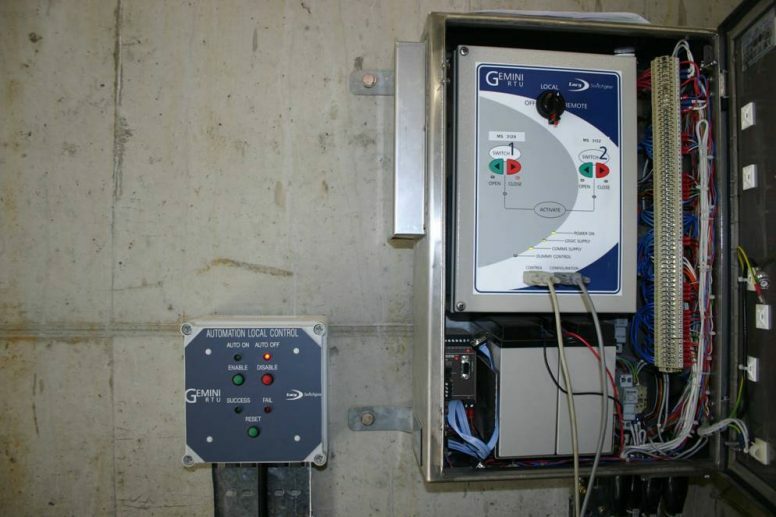 Lucy Electric approached NIE and offered the highly versatile Gemini RTU as the telecontrol interface. The existing DMS utilises the IEC 60870-5-101 communications protocol for data acquisition and control messages. The NIE strategy involved the use of hill-top radio scanners, linked to their central control centre, to continuously poll each secondary RTU (auto-recloser) and provide real time control of these automated vacuum circuit breakers. In collaboration with FKI, Lucy Electric successfully integrated the Gemini RTU into their auto-recloser product as an OEM component part. Extensive factory testing and database setup ensures minimal on-site commissioning. By providing remote control functionality for the autoreclosers, it is possible to reclose the device even when it has completed its protection sequencing to lock-out for a so-called permanent fault. As a result of these initial trials, NIE has installed over 100 such devices and reaped the benefits of reduced supply interruptions and customer minutes lost.